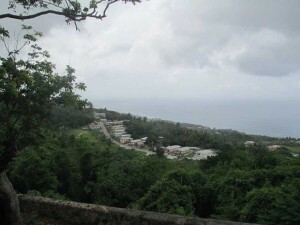 The village of Church View in the parish of St John along the east coast of Barbados—one of the few communities with a significant ‘Redleg’ population, a racially diverse community claiming European and African ancestry. Aside from serving white supremacist agendas, the ‘white slave’ narrative has been equally problematic in its exploitation of the ‘Redlegs’ of Barbados. The ‘poor whites’ that currently reside along the east coast of Barbados have been presented as a living fossil of the Cromwellian invasion of Ireland. 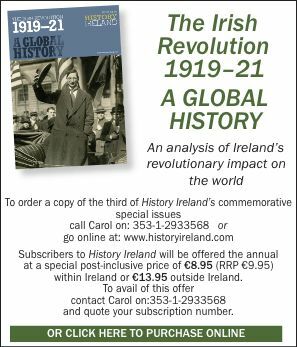 Television documentaries, works of fiction and non-fiction, radio programmes, magazine articles, photography exhibitions and on-line publications all highlight the impoverishment of the contemporary Barbadian ‘Redlegs’, as they are pejoratively called, and identify them as the descendants of the forgotten Irish or Scottish ‘slaves’. The discriminatory and damning descriptions of the ‘Redlegs’ are used to demonstrate the brutality experienced by the ‘white slaves’, whose descendants are portrayed as still suffering. Seán O’Callaghan’s To Hell or Barbados is particularly derisive in its exploitative treatment of these people, claiming that ‘today, Red Legs are of a sallow complexion and subject to many diseases like epilepsy, hookworm and anemia. They look down on the blacks and have never intermarried with them, and because of over 300 years of inbreeding many are mentally retarded with a low literacy rate’. Such unethical treatments of the ‘Redlegs’ are seldom concerned with the attitudes, centuries-long history and daily lives of these very people. Simply used as victims of a history of ‘white slavery’, these Barbadians are stripped of their humanity and defined by erroneous notions of laziness, destitution, inbreeding, alcoholism and mental retardation. Additionally, their strong ties to Afro-Barbadians through centuries of intermixing and daily social interactions are denied.